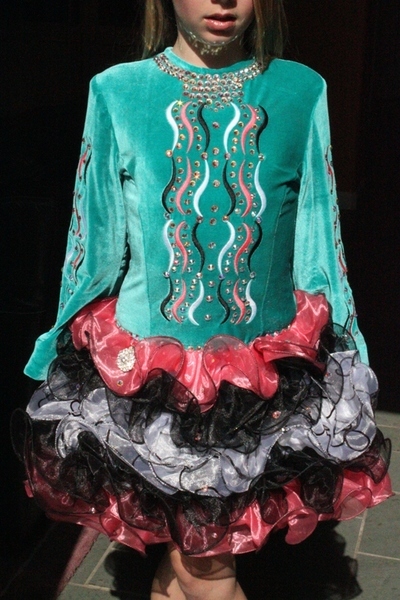 This super soft, comfortable and light weight Emerald Key dress is perfect for your Novice/Prizewinner! 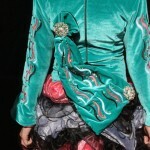 The bodice and sleeves are teal green with rose, black and white embroidery. 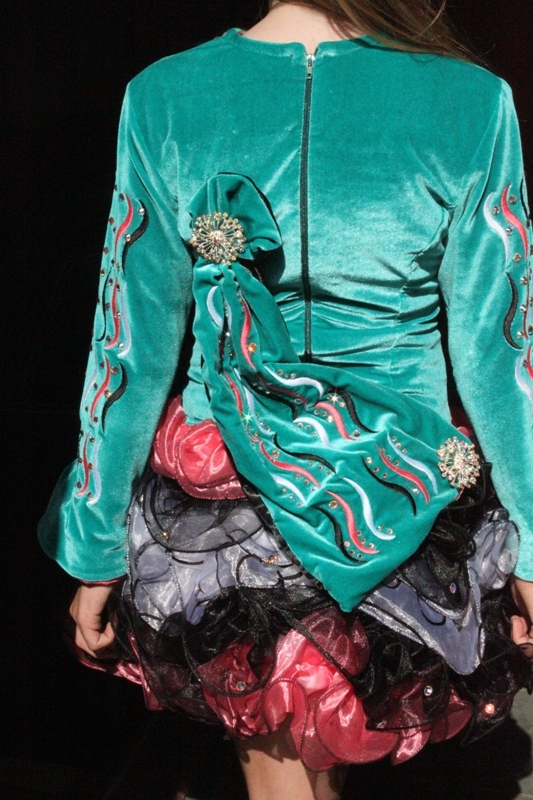 Hundreds of 30ss and 40ss AB crystals embellish the neckline, bodice, sleeves and cape. The darling skirt has five ruffled layers in rose, black and white that are embellished with crystals. The underskirt is white. The sale of the dress includes the number holder pictured, but no kickpants. The dress comes from a smoke free home. All offers considered. Additional photos available upon request. Asking Price: $US495. Shipping costs are not included in the asking price. Returns are negotiable.